In society, as in life, there are consequences for not following the rules. In this instance, not following the rules has imposed consequences for many people other than myself, people who have seen their school, and perhaps their degree, tarnished in the eyes of others through no fault of their own. Arthur Silber reacts as I hope I would have if I'd known more about this despicable incident before. That is to say, he loses it, and rightly so. The law is not the only means by which the state controls us, and strips our national discussion of all meaning. There is another, less formal but no less constricting means, which is commonly identified by the phrase, "the rules." We must all follow "the rules." You cannot ever break "the rules." Be very, very clear on this point: the only way you can speak the truth on any subject of importance in this country today is BY BREAKING THE RULES. I haven’t seen any mainstream news outlet once dissect the questions I asked the Senator. Everything is about me personally or the taser. This is the type of tabloid journalism prevalent in America today. When my story is over, they won’t start covering Blackwater or Ron Paul. It’ll be Britney Spears and Paris Hilton, business as usual. These kids take the old penny-on-the-railroad-tracks trick to the next level. I really like this clip. Found at Jawbone. Sweet! Awesome! 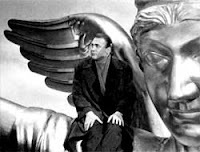 I was looking forward to settling down to watch Wings of Desire, the much-acclaimed 1987 film by Wim Wenders, ever since I wrote about the list of "The Top 50 Dystopian Movies of All Time." At No. 4, Der Himmel Über Berlin is the highest-rated film on the list I had never seen. Now that I've seen it, I have to say: The emperor has no clothes! This extremely odd mish-mash of poetic words and imagery seems to have been tossed together on the fly. There's a real feeling of "Let's do a story about angels watching over Berlin - what would they do and what would they talk about amongst themselves? We'll make it up as we go along!" The threadbare plot doesn't really get going until the two-hours-plus movie is three-quarters finished. As the credits rolled, I was so perplexed that I watched the making-of feature on the DVD, and sure enough, Wenders and his collaborators talk about how they decided, "Let's do a story about angels watching over Berlin - We'll make it up as we go along!" At one point Wenders even says he was surprised that it has touched so many people - he really expected that it would be remembered as a mysterious little arthouse film. Not only did people find deep meaning - Wenders says he still gets lots of letters from people who put their lives together, got married and such, based on what they saw in the movie - but it was successful enough to generate a sequel (Faraway, So Close!) and an Americanized remake (City of Angels). I'm with Wenders - I think it's a mysterious little arthouse film. It's a long, slow, occasionally interesting journey, with an occasional image about the loneliness of life and the search for meaning - but (especially with Sweetie joining me in being perplexed and eventually falling asleep on me) I found watching the film itself to be a lonely search for meaning. One caveat: Maybe I need to brush up on my German and watch it without subtitles. Some of the frustration was how the subtitlist decided to leave so very much of the words untranslated. There's one scene especially when the lead angel grins a knowing grin at a thought he has overheard - but whatever he heard does not appear on the screen. I don't know if that would make much difference, though. I hate to say this about a film that apparently is beloved by many who find it a deeply moving experience: My conclusion in the end was that it's an incoherent mess. I chalk it off to the infinite variety of human existence: We will never agree on everything, and if I come away from a classic film feeling as though I'd just wasted my time, it's confirmation of our astonishing complexity. In the Wall Street Journal, Peggy Noonan writes about the latest incident of a phony story making it onto the pages of a reputable journal. This time it's the New Republic, which already was badly burned a decade ago by the Stephen Glass debacle. This time it was a writer/private named Scott Thomas Beauchamp, who apparently made up a bunch of stuff about horrific misbehavior by his fellow U.S. troops in Iraq. This kind of editorial sloppiness does no favors to the anti-war cause or the credibility of journalism; the New Republic has proved to be a friend of neither. ("Fool me once, shame on you ...") Noonan makes some good points. I have a couple of reasons for not getting too excited over the Ron Paul for President phenomenon. One is that I'm fresh from the one-two punch of Murray N. Rothbard and Frank Chodorov, so my faith in the American system of elections is at a low ebb. Even if a miracle were to occur and he became President Paul, there's only so much he could do. Ronald Reagan was the closest thing to a limited-government Constitution-respecting president we'll probably have in my lifetime, and the government got bigger, more intrusive and more imperial under his watch. However, a strong showing by Paul could give a boost to the notion that Americans have begun to notice how un-American our State has become over the past 100 years or so. So I do not put a lot of stock in the huge Internet buzz for Ron Paul. I'm glad he's out there making noise, and it's fun watching the grass-roots volunteers at work, holding signs at highway overpasses and such. But after Serenity flew in on all that Web buzz and barely earned back its cost, I'll need more than Web buzz to be optimistic. An internal gut check and reformation is going to have to happen before the United States becomes a free country again. Ron Paul can be a catalyst, but politics isn't going to solve what ails us. We would be told, most emphatically, that by not voting we would be turning the reins of government over to "rascals." Probably so; but do we not regularly vote "rascals" out? And, after we have ousted one set, are we not called upon to oust another crew at the next election? It seems that rascality is endemic to government. Our balloting system has been defined as a battle of opposing forces, each armed with proposals for the public good, for a grant of power. As far as it goes, this definition is correct. But when the successful contestant acquires the grant of power, toward what end does he use it – not theoretically but practically? Does he not, with an eye to the next election, go in for purchasing support, with the taxpayers' money, so that he might enjoy another period of power? The over-the-barrel method of seizing and maintaining political power is standard practice, and such is the nature of the "rascality." This is not, however, an indictment of our election system. It is rather a rejection of the institution of the State; our election system is merely one way of adjusting ourselves to that institution. The State is a product of conquest. As far back as we have any knowledge of the beginnings of this institution, it originated when a band of freebooting nomads swooped down on some peaceful group of agriculturists and picked up a number of slaves; slavery is the first form of economic exploitation. Repeated visititations of this sort left the victims breathless, if not lifeless and propertyless to boot. So, as people do when they have no other choice, they made a compromise with necessity; the peaceful communities hired one set of marauders to protect them from other thieving bands, for a price. In time, this tribute was regularized and called taxation. I am fairly confident attention deficit disorder is not a disorder at all. Multitasking is considered an asset in grownups, so why should children be forced to concentrate on something long after something else has attracted their notice? Over at the Endervidualism site Bob Wallace has offered "Round pegs in square holes," an essay that suggests (among other things) that the state school system in vogue for decades does not lend itself to the care and nourishment of the most imaginative children among us - the ones who grow up to be Thomas Edison or Adam Smith or Frank Lloyd Wright. How often do you hear brilliant, talented people talk about how they were almost left behind in their school days because their imaginations had left the class far behind and they were bored? In school, imaginative kids are accused - and I repeat, “accused,” as if they’re guilty of something, and not even with a trial - of daydreaming and not paying attention. That is exactly right. They’re off building worlds in their heads. Pretty nifty ones, too, I can tell you. The regimented school system does a good job of training regiments - good soldiers who don't question authority - but it has its hands full with normal, inquisitive kids. These are the kids who end up drugged and discouraged from using their natural talents. Wallace asks, "I often wonder how many people have been lost because of the school system?" It's a poignant and worthy question. Maybe not as many as we might fear: The power of the imagination is unlimited, and those who have a good one often manage to find a way out of the darkness. Good readin'. UPDATE: Funny we should mention that - Vin Suprynowicz has written a couple of related analyses of the school system last week and this week. "One of the most wonderful things about the author you reference - I will not name him so as not to spoil your upcoming review [Oh, it wasn't that big a secret, Wal] - is that he was a fantastic stylist. IMHO, he is one of the most quotable writers in the freedom authors pantheon." Taxes of all kinds discourage production. Man works to satisfy his desires, not to support the State. When the results of his labors are taken from him, whether by brigands or organized society, his inclination is to limit his production to the amount he can keep and enjoy. During the war, when the payroll deduction was introduced, workers got to figuring their "take home" pay, and to laying off when this net, after taxes, showed no increase comparable to the extra work it would cost; leisure is also a satisfaction. A prize fighter refuses another lucrative engagement because the additional revenue would bring his income for the year into a higher tax bracket. In like manner, every business man must take into consideration, when weighing the risk and the possibility of gain in a new enterprise, the certainty of a tax-offset in the event of success, and too often he is discouraged from going ahead. In all the data on national progress the items that can never be reported are: the volume of business choked off by income taxes, and the size of capital accumulations aborted by inheritance taxes. Chodorov died in 1966, but many of the observations he makes about the rise of collectivism remain contemporary. His optimism in the face of the growing state is contagious, however. Although he identifies the challenges with a great writer's precision, and he says "only time will tell" whether the tide will turn, this reader at least detects Chodorov held an underlying confidence that the flame of individual rights can never be extinguished. By clearly explaining the nature of the state beast – politicians who accumulate power by promising to protect freedom and offering constituents something for nothing – he whets the appetite for something different, something more accommodating to the free individuals we really are. The only choices individualist writers had in Chodorov's time were to struggle to get published in increasingly statist journals or to publish their own magazines and newsletters. In the Murray Rothbard tribute I linked to the other day, Chodorov referred to his 1940s broadsheet analysis as "the one time in my life I could write what I really believed" - again, an optimistic recollection of a period when his views were being suppressed the most. Opportunities in the Internet era are infinitely greater and much more cost-effective. The soapbox on the street corner has been expanded to encompass the world. Montag and hundreds of far better Web sites are carrying the kinds of thought that Chodorov invested in analysis. As dark as this era is, these candles of freedom are being carried by so many individuals that even the modern state won't be able to extinguish them all. Chodorov's life is a shining example. Ray Bradbury wrote a wonderful metaphor in my favorite of his books, Zen in The Art of Writing (Only he called it a simile. Maybe he's right. Whatever): "Every morning I jump out of bed and step on a landmine. The landmine is me. After the explosion, I spend the rest of the day putting the pieces together." Having now completed Out of Step by Frank Chodorov, I feel as if my brain has exploded and I may well spend the rest of my life putting the pieces together. Either that or I'm adjusting to having the pieces finally assembled in their proper order. All I know is my image of the world is different from what it was when I started reading. Or perhaps the image is the same, only in sharper focus. Two thoughts occurred to me at random as I was racing through the final pages, trying not to race but racing nonetheless. I will have to keep this book close at hand for a while, rereading and assimilating the thoughts. First thought: One of the defining political speeches of my generation features the applause line, "Ask not what your country can do for you; ask what you can do for your country." Both questions are meaningless and irrelevant. They depend upon the assumption that humanity is a collective, a hive, rather than an interaction of individuals, and that members have a responsibility to the hive and vice versa. There is a third question that sounds selfish but is closer to the core of existence: Ask what you can do for you. Second thought: The Star Trek trilogy – The Wrath of Khan, The Search for Spock and The Voyage Home – is in one small way an important contribution to the cause of individualism. The first story features a heroic sacrifice by a man who believes "the good of the many outweighs the good of the few, or the one," but after the character undergoes a literal resurrection, the viewer is asked to consider whether sometimes it is logical that "the good of the one" should take precedence. That this shift is portrayed positively is a sign that individualism is not a lost philosophy. Third thought: I have not wrapped my mind around these two thoughts well enough that I feel confident they made any sense to you at all, dear reader. I beg your indulgence while I run my fingers over the keyboard in coming days trying to clean up the landmine that is me. Oh, and if you have never read Chodorov or Out of Step, get busy on obtaining a copy. Buy here. Download the .pdf here. And click here to keep up with someone whose brain exploded long before mine. "Songs by Death Cab's guitarist seized at border"
Reminds me of the scenes in "The Lives of Others" when a playwright tries to smuggle an article across the border about the high suicide rate in the workers' paradise. Homeland Security is the Stasi and we are East Germany. 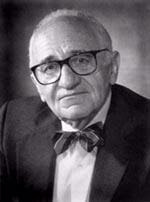 My current reading is extremely eye-opening, even more so than Rothbard's The Betrayal of the American Right. After that epiphany, I figured it was time to see why my best-friend-I've-never-met named his blog after this particular book. Holy guacamole! The scales are falling from my eyes, the long-hazy thoughts are crystallizing, and everything I've suspected is confirmed and verbalized and explained. These two books have the potential to change my life. I fear that if next I finally buckle down to read a little von Mises, I'll have passed the point of no return - assuming I didn't pass that some years ago! I had the disk* in the car stereo on the way home and was lost in the same kind of feeling I had when listening to the old Creedence Clearwater Revival tunes in the car - so lost in the feeling that I picked up my left foot and only just caught myself before I ended up with both feet on the brake pedal. Back when CCR was in its heyday, of course, I drove a car with a clutch, and my foot was unconsciously reliving the experience of enjoying those tunes. That's how deeply Fogerty has recreated that sound this time around. *Yes, kids, you can make a CD recording off a vinyl album – vinyl is DRM-free! Just another advantage to the old technology. I have never been especially drawn to the film The Fight Club – the subject matter doesn't interest me terribly, and although I know it has a bit of a cult following, it's not one of the hundred or so movies "I haven't seen yet but know someday I have to." But now, discovering this little quote came from that flick, I have a new respect and a slight reading on the interest-o-meter. Even if it's the only two seconds worth keeping from a two-hour-plus movie, it's a profound thought. "It's As Ridiculous As If They'd Given Goebbels One in 1938." Alexander Cockburn does a more thorough job than I did detailing Al Gore's career as a war monger. Finding that 1995 Jim Lehrer interview with Al Gore yesterday pretty much solidified a thought I've been having for some time now: Individuals who base their view of politics on strong principles are going to find themselves drifting back and forth between the "left wing" and the "right wing" depending on who's in power. The reminder that in 1995, the Republican Senate passed a resolution to "support the troops" but oppose the Democratic administration's war policy, cinched it for me. When Democrats talk that way today about the Republican administration's war policy, GOP apologists snarl about how "you can't have it both ways," 12 years after their boys and girls talked precisely the same way. A person who thinks the US of A has no business invading other countries to enforce its will protect its national security would be considered a right-wing Republican in 1995 and a left-wing Democrat today. Thus you have experiences like Murray N. Rothbard had when he wrote "Confessions of a Right-Wing Liberal," seeing the ground shift underneath him as the Old Right became the New Left and vice versa. And you have Ronald Reagan's famous statement, "I didn't leave the Democratic Party ... the party left me." As a rabid Republican apologist for much of my life, that's where I've been the last 15 years or so. The scales started falling off my eyes when I attended an appearance by Libertarian Party presidential candidate Andre Marrou in 1992, but I still was under the belief that the 1994 Republican election victory was going to make a big difference. Even in 2000, although I wasn't very impressed by Bush II, I thought a Gore win would have meant a continued erosion of individual liberty in the face of an ever-intrusive central government. It took Bush's acceleration of that erosion to complete the process of clearing my eyes. Now we are entering willynilly into the quadrennial exercise where Americans delude themselves that a simple regime change in Washington will make a significant difference. This despite the major players' promise to continue the US of A's imperial adventures overseas whenever necessary and expand the powers of the central government. Imagine Hillary Clinton or Rudy Guiliani or most of the others, playing with the toys in the USAPATRIOT Act box, or setting the Homeland Security Department loose. Freedom will not be found among the power-seekers who are campaigning for votes, because their desire is not to liberate you - their desire is to govern you. A city transit bus is usually equipped with a device called a "governor," which limits the engine's ability to accelerate. To govern is to limit - government is an institution designed to limit people, not unleash their innate abilities. Freedom begins when you relinquish the belief that liberty requires a specific leader or a specific brand of leader, be it Republican, Democrat or Libertarian. Even President Ron Paul could not give you freedom. All leaders can do is place restraints on the freedom you already possess, usually "for the good of the collective." Let your only governing rule be that you will not impose on your neighbor's freedom or property - the word "neighbor" defined as all of the other people in your universe. That decision, and no election, is the beginning of a big difference. Ground yourself in that philosophy, and you'll be amazed at the way the political world spins - I felt myself shifting constantly between "left" and "right" until it occurred to me that the real conflict is between statists and individuals. I'm much less dizzy these days, and I am certainly neither Republican nor Democrat, neither "left" nor "right." I'm just me. OK, in many ways I'm not yet the free man I declared myself in the title of this little essay. But I've found the internal compass that puts me on the trail - and that is most of the journey. The Norwegian Nobel Committee has done its part for global warming by ensuring that hell freezes over, naming Al Gore a co-recipient of the Nobel Peace Prize. 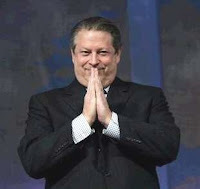 Gore, a co-conspirator in the administration that deployed U.S. troops to Somalia, Bosnia and Haiti and bombed Iraq, Afghanistan and Sudan, shares the prize with the United Nations Intergovernmental Panel on Climate Change, whose chairman, Ranjendra Pachauri, Gore denounced for his "virulent anti-American statements" when Pachauri was being considered for the post of chairman. Gore spent the 1990s supporting the Bush I and Clinton administration imperial adventures abroad – a quick Google search found this 1995 interview where he defends the invasion of Bosnia, for example. The most interesting thing, for me, was the introduction of the interview: "In Washington, Jim Lehrer conducts an interview with the Vice President where they discuss a Senate resolution to support the troops, but not the administration's policy in Bosnia." For those of you who've just joined us, this was a Republican Senate and a Democratic administration. The two parties routinely exchange their rhetorical positions on such debates depending upon whose ox is being, um, gored. Those who were rightfully aghast when George W. Bush was nominated for the Nobel Peace Prize should be, but won't be, aghast at Gore's actual award. After all, Gore is a member of the Butter-Side-Up Party, and Bush is a member of the Butter-Side-Down Party, and so they are opposites, doncha know. Think you have the right to carry a sign down a public sidewalk, or hold up a "Ron Paul for President" sign on a highway overpass? Think again. Oh yeah, and only police have the right to bear arms ... thanks to Uncle Warren for alerting me to a happening near his hometown. Two questions kicked me in the side of the head this morning. One was the usual fantasy, the other was the kicker. 1. What would you do if you won the lottery tonight, money was no object and you could do anything you wanted with the rest of your life? 2. What's stopping you from doing it now? Much could be gained by finding and acting upon honest answers to those two questions, methinks. 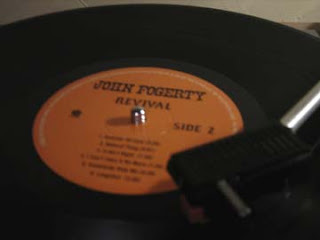 Let's get one thing straight from the top: By putting out an album called Revival, and by putting a tune called "Creedence Song" in the third slot, John Fogerty raises the expectations over the top. Fogerty, for the one or two of you who didn't know, was the driving force behind Creedence Clearwater Revival, which put together four or five of the best gorram roots-rock records of the late 1960s/early 1970s. There's not a frickin' note wrong on Cosmo's Factory, CCR's greatest project. By putting out an album called Revival on Fantasy Records and calling one of the tunes "Creedence Song," Fogerty is invoking the memory of his great band and promising some of that stuff before you even take the plastic wrap off the record. Oh, yeah, that, too: By putting out his first (to my knowledge) album in years that is available on vinyl, he's really signalling "It's back to the basics, baby!" Long story short: Oh my goodness, he made a promise and he delivers nicely - eventually. I gotta tell ya, friends, I spent the first five songs on this 12-tune project thinking, "Ho hum, it's the same old solo Fogerty, but it isn't that stuff. Even "Creedence Song" - it's a clever little tune that tosses out a few homages to "Green River" and some of the other gems in his holster, but I spent the first five little country-rock numbers thinking, "Come ON, John, let's get chooglin' already!!!" Then "Long Dark Night," the last song on Side 1, kicked in with a growling, jangling guitar. From there until the end of "Longshot," the finale, this is the album Fogerty fans have been waiting for since, well, Cosmo's Factory. "Summer of Love" is a funky tribute to that era, part "Purple Haze," part "White Room," a hint of "Sunshine of Your Love," and oh yeah, a big bit of CCR. "Natural Thing" dives right into the Bayou for a glorious swim, "It Ain't Right" is an echo of "That's All Right Mama" and "Ooby Dooby," and "I Can't Take It No More" is a pedal-to-the-metal rocker in the tradition of "Traveling Band." "Somebody Help Me" is up there with the best of Fogerty's blues-rock yellers, and "Longshot" closes the proceedings with a nice bang. I imagine I'll wear out Side 2 before Side 1. But it's not simply a nostalgia album. Did I mention that John has a few issues with the current gang of thieves in Washington? Like Springsteen the other day, Fogerty suffers from the delusion that replacing this specific administration will solve most of the country's problems, which are deep set after percolating for a century, perhaps longer - but it certainly is fun to have two veteran rockers coming back into their own and speaking truth to power in very fine albums that were released the same day. And a tip of the hat to Wally for pushing me to grab the Fogerty project; I was going to pass after the tepid Deja Vu All Over Again of a couple years' back. At some point I would have encountered Revival and wished I'd bought it earlier; I'm spared that now. WASHINGTON (Reuters) - A German citizen who says he was kidnapped, imprisoned and tortured by the CIA lost his appeal on Tuesday when the Supreme Court refused to review a decision dismissing the case because it would expose state secrets. Masri said he was abducted by Macedonian authorities on December 31, 2003, while on vacation. After 23 days, he was handed over to a CIA team and flown to a CIA-run secret prison near Kabul, Afghanistan, he said. Masri said he was beaten, interrogated and held as a terrorism suspect, even though CIA officials quickly determined his innocence. He said he was flown to Albania and released on May 28, 2004. A federal judge and then a U.S. appeals court dismissed the lawsuit because it threatened to expose government secrets, including how the CIA supervises its most sensitive intelligence operations. About 10 years ago, 56-year-old Bob Dylan released an album called Time Out of Mind, the first of three absolutely captivating projects (with Love and Theft and Modern Times) that prove you don't have to be a young buck to be a musical genius. I dare say his latest work is among the best of his career. I have a small pile of Dylan albums in the collection, but it's these three that I keep coming back to. When Bruce Springsteen was a young buck, a lot of people tried to pigeon-hole him as "the next Dylan," and he has been that only in the sense that he has been the pre-eminent poet-songwriter of his generation (if Dylan and Springsteen really can be counted as belonging to different generations). If the analogy is correct, the Boss has been a little late getting to the aging-genius stage where Dylan has been for a decade. But 58-year-old Springsteen appears to have arrived there at last. Like Dylan before him, Springsteen probably hasn't produced an album in a couple of decades that is pretty much completely satisfying from beginning to end. Magic is it. Strike that, your honor – In Concert: MTV Unplugged and Live in New York City are awesome albums, but they're a tad short on new material. A first listen tells you Bruce and the E Street Band are as good as ever; they slip the new songs on like a well-broken-in pair of jeans. The sound is familiar but just new enough to be fun and interesting, strong, rollicking. It's just a solid, solid rock 'n' roll record. Then it's time to sit back with the lyrics sheet and get the full experience. And, as usual with the best Springsteen, that's when the Magic happens. 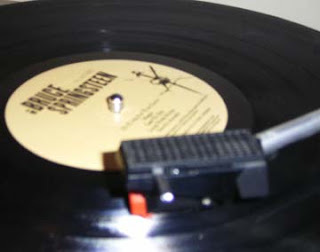 A number of reviews have been published noting that the Boss seems to send a message about the current gang of thieves in Washington – Bruce has never quite figured out the Who's sharpest insight: "Meet the new boss, same as the old boss" – but it's not the message, it's the brilliant way Springsteen weaves the words, that make it memorable. That, and the contrast between the angst-ridden words and the joyous rock 'n' roll music, are what makes this package shine like the man and his band haven't shone since Born in the U.S.A. "You'll Be Coming Down" is about how what goes around comes around. "Livin' in the Future" details how a beautiful love affair will come crashing down someday, but not to worry, "None of this has happened yet." And you might not catch the ominous tone of the words while your happy feet are dancing to the vintage Jersey rock. The best Springsteen lyrics say something you have felt in your gut but say it in a memorable way that brings the feeling back – "There were ghosts in the eyes of all the men you sent away," for example. Try this one for size: "Pour me a drink, Theresa, In one of those glasses you dust off, And I'll watch the bones in your back Like the Stations of the Cross." The words invoke the peace and awe of watching a special lover do something perfectly ordinary – wow, this fabulous woman chose me! So you proclaim to her, "What others may want for free, I'll work for your love." But nothing lasts forever, the songs say, and that is both the joy and sadness of Springsteen's message. The joy fades, but so does the sadness, and we press on. In my personal early favorite, "Long Walk Home," Springsteen tries to make sense of the changes in his life and his hometown, and recalls his father telling him how lucky they were to be in this town: "It just wraps its arms around you; nobody crowds you, nobody goes it alone. You know, that flag flying over the courthouse means certain things are set in stone – Who we are, what we'll do and what we won't." Well, even the things that are set in stone don't seem to last forever, but we press on. It will indeed be a long walk home, but we'll dance there. How long has the government of the United States given lip service to freedom and individual rights while enforcing its steel will over a citizenry it treats as a collective, a tyrannical government identical in most ways to the empire with which it broke ties in 1776? You can't get very far into a review of history without drawing a conclusion that most of us living have never known an America where freedom and individual rights were, in fact, given top priority by those in power. The very naive believe the turning point was 9/11; older folks might say it was the administration of Franklin D. Roosevelt that built the Leviathan; many target 1913, the 16th Amendment and Woodrow Wilson's commitment of American lives to "make the world safe for democracy." In a long, meandering journey, I've come to the place many of my readers reached some time ago: If there ever was a free America, it probably met its demise beginning with the replacement of the Articles of Confederation with the Constitution. Over the years, many people have come to the realization that those who believe in an almighty state took the reins long ago from those who believe in the rights of the individual as articulated in the Declaration of Independence. The individualists have landed in a position of perpetual minority, moving towards the political party that offers the best rhetoric in support of freedom, often never quite grasping that freedom is a word statists in both parties use to seize the reins of power. The Betrayal of the American Right is Murray Rothbard's memoir of his long journey from the Old Right to the New Left while standing still ideologically. Ronald Reagan famously stated that he didn't leave the Democratic Party for the Republican Party; "the Democratic Party left me." Similarly, Rothbard chronicles how the "right wing" that fought for a free, laissez faire economy and no foreign entanglements morphed into a force that defended unholy alliances between Big Government and Big Business and imperial military adventures around the world. "They may be summed up as: (1) a belligerent foreign policy likely to result in war; (2) a suppression of civil liberties at home; (3) a devotion to imperialism and to a polite form of white supremacy; (4) a tendency towards the union of Church and State; (5) the conviction that the community is superior to the individual and that historic tradition is a far better guide than reason; and (6) a rather lukewarm support of the free economy. They wish, in gist, to substitute one group of masters (themselves) for another. They do not desire so much to limit the State as to control it." Hamowy's critique, written in 1961, remains remarkably contemporary. Rothbard's journey-while-standing-still mirrors a lot of our experiences, I think, as we are drawn to the siren song of liberty as sung by one party or the other, only to discover that the real purpose of the political animal is to win power over us, and that in their twisted minds, freedom means the right to choose which authority will control our lives and undermine our individuality. This sounds dismally pessimistic, but learning this truth is liberating, in fact, because you realize that being free has nothing to do with the victory of one politician or another - liberty is really an intensely personal lifestyle choice that is independent of state government or politics. The politicians can hamper liberty, and they do, in a big way, all the time - but to their eternal frustration, they can't crush the instinct to personal freedom. Rothbard's writing is always eye-opening, and this book is liberating even as it describes the inexorable conversion of individualism to statism, and the increasing loneliness of those who buy into the concept of liberty. The good news, in the end, is that we were born with the "inalienable rights" of freedom, and so statism is unnatural, contrary to human nature, and most people resist authoritarianism to one degree or another. Individuals may feel lonely in the face of increasing state power - but we are never alone. Buy the book for $20 (as of today) at The Mises Institute store or download the .pdf for free off the "New Resources" links on the Mises home page. ... Now there's a question. According to moviehole.net, copies of the Serenity Special DVD Edition have been flying off the shelves to the point where a second Firefly movie is not out of the question. "Tudyk agrees that even if it was a direct-to-DVD movie, it’d still be worthwhile." And apparently all nine actors are excited about maybe coming back, even though, well, you know. And if you still haven't seen the best movie of the 21st century so far, I'm not going to spoil it for you. This got me all a-twitter, needless to say. It would be disappointing not to see Serenity 2 on the big screen, but better direct-to-DVD than nothing, as long as Joss Whedon and friends keep the quality coming. I meant to get back sooner than this to the list of the Top 50 Dystopian Movies of All Time as chosen by the folks at Snarkerati. The fact that I own (or at least have seen) more than half of these flicks probably says much about me. Like most good science fiction, a dystopian movie succeeds because it says something about the "real" world in which we live - speculating on where our current trends may take us if we don't watch out. Sometimes the individual wins a victory, large or small, and sometimes the film does not have a very happy ending - but it's the struggle that counts, the moment when the individual breaks loose and says, to quote from a great dystopian work that is not a movie, "I am not a number - I am a free man!" For the record - somewhere in my piles of DVDs and VHSs I believe I will find 14 of these flicks for sure (#1 Metropolis (1927), #3 Brazil, #5 Blade Runner, #9 Minority Report, #14 Twelve Monkeys, #15 Serenity [YAYYYYY! ], #22 Planet of the Apes (1968), #23 V for Vendetta, #25 Gattaca, #26 Fahrenheit 451, #27 On the Beach, #29 Total Recall, #31 War of the Worlds (1953), #44 Strange Days) and maybe more ... I have seen and (in most cases) loved a majority of them, and I have loaded up the Netflix queue with the missing films. The ones you may be most surprised I've never seen would be the Mad Max movies - everyone has seen those by now, wouldn't you think? I'm going to sound like the proverbial broken record - this list really, really ought to include The Lives of Others, the incredible 2006 German film I've written about here and here. Maybe because it's set in the reality of the past, in 1984 East Germany, it didn't qualify under Snarkerati's definition of a dystopian film. But if you enjoy the movies on this list, you gotta, gotta see The Lives of Others. INSTANT UPDATE: I just noticed the update where they mention their definition of dystopia: "An imaginary place or state in which the condition of life is extremely bad, as from deprivation, oppression, or terror." (my emphasis) That does exclude The Lives of Others. Just thought of one glaring omission (at least in my humble opinion): Invasion of the Body Snatchers, the original 1956 film with Kevin McCarthy, natch. That would go into my top 10 dystopian movies, I think - maybe the top 5! 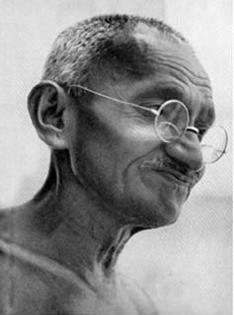 A couple of appropriate Gandhi quotes from the Web site "What Would Gandhi Do?" SATYAGRAHA (truth-force) is a relentless search for truth and a determination to search truth....Satyagraha is an attribute of the spirit within....Satyagraha has been designed as an effective substitute for violence.... Satyagraha is a process of educating public opinion, such that it covers all the elements of the society and makes itself irresistible....The fight of Satyagraha is for the strong in spirit, not the doubter or the timid. Satyagraha teaches us the art of living as well as dying....Satyagraha, of which civil-resistance is but a part, is to me the universal law of life....Satyagraha can rid society of all evils, political, economic, and moral...A genuine Satyagraha should never excite contempt in the opponent even when it fails to command regard or respect....Satyagraha thrives on repression till at last the repressor is tired and the object of Satyagraha is gained....Satyagraha does not depend on the outside [for] help; it derives all its strength from within....The method of Satyagraha requires that the Satyagrahi should never lose hope, so long as there is the slightest ground left for it....In the dictionary of Satyagraha, there is no enemy. Since Satyagraha is a method of conversion and conviction, it seeks never to use the slightest coercion... For a Satyagraha brigade, only those are eligible who believe in ahimsa--nonviolence and satya--truth... A Satyagrahi has infinite patience, abundant faith in others, and ample hope....A Satyagrahi cannot go to law for a personal wrong....In the code of the Satyagrahi, there is no such thing as surrender to brute force. * I shall conquer untruth by truth. * And in resisting untruth, I shall put up with all suffering. I shall not fear anyone on Earth. So many men and women work hard to make us fear them - or to make us fear something that they want to (forcibly) rescue us from. Begin the day deciding not to be afraid, not to let fear control your behavior, and you are already on your way to a good day. I shall fear only God. I know this site is visited by agnostics, atheists and believers alike, so let me just suggest that this is a corollary of "I shall not fear anyone on Earth." I also choose to remember (since to me God is a comforting concept, not something to be afraid of) that the words translated in the Bible as "fear of God" can also be translated as "in awe of God." This works for statement #1, too - I shall not be in awe of anyone on Earth; I shall be in awe only of God (or nature or flying spaghetti monsters or anything bigger than this life). I shall not bear ill will toward anyone. I spent most of eight years hating Bill Clinton for ... oh, why bother explaining? The point is that hate is a force that drains so much life out of you. Many, many folks, especially in Bill's (and his counterpart George's) line of work, should never be trusted - but you will only debilitate yourself if you bear him ill will, and you certainly will never accomplish the miracle of converting him to the cause of liberty if you hate him - because your hate will be obvious and make his ears deaf to your voice. I shall not submit to injustice from anyone. This is a tough one to follow. Sometimes it's easier to submit than to cause a scene, and I confess sometimes I take the easy course. Or I simply avoid the injustice - as in, I haven't been on an airplane since the spring of 2001, because I prefer freedom to what would happen to me if I object to the unjust and unconstitutional search of my person and property in the airport. Still, if I can point out an injustice and refuse to submit, I will try to muster the courage to do so. I shall conquer untruth by truth. That's one reason I keep writing this stuff. And in resisting untruth, I shall put up with all suffering. Well ... hey, I'm a big weinie and I hate pain. I keep my wage-slave job, for example, because I'm not ready for all that suffering. And I do have the occasional opportunity to conquer untruth by truth there. Mahatma Gandhi proved you don't need violence to fight the state successfully. He proved the power of a commitment never to initiate force. We can argue until the sacred cows come home how well he succeeded, or for how long, but he gave us a good example and much to think about regarding how to make this a better world. Happy Gandhi's Birthday!